As you know by now, I love to try out cake recipes. However, as the days are getting shorter, and the nights a little longer, I thought it was time to move into the realm of all things Savoury for a while. 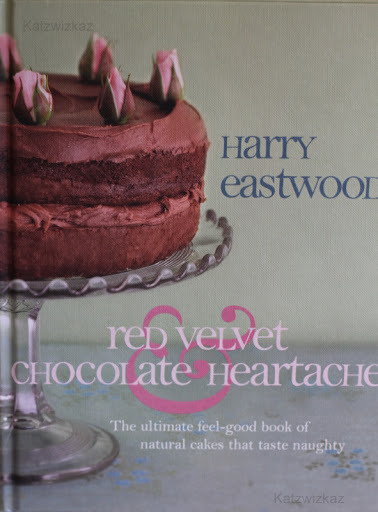 This recipe comes from the book Red Velvet Chocolate Heartache, by Harry Eastwood. First published in 2009, this book was her first solo creation. Harry Eastwood also collaborated on the Cook Yourself Thin books, and TV series. She spends her time between New York and Paris, working on numerous television and writing projects. 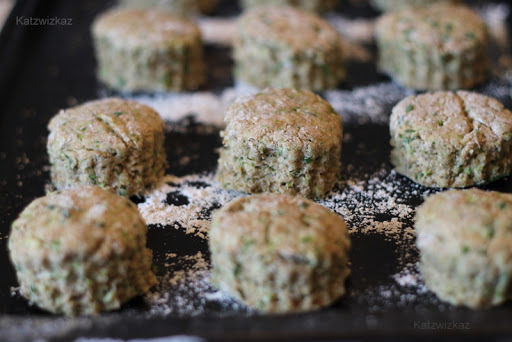 The original recipe uses White Spelt flour, but as I only had Wholegrain, that is what I used. Also, only 1 tablespoon of honey was used in the book, but, to me, it looked too dry, so I upped the quantity to 3 tablespoons. Place the flour, pecorino cheese, baking powder, bicarb. 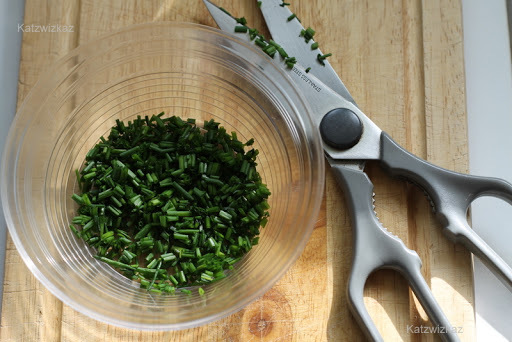 of soda, salt and pepper into the bowl of a food processor. Then add in the courgette and honey. Blitz these in until all ingredients are combined. Then, finally add the walnuts and chives. Blitz again, until the dough is formed. Turn the dough out, and bring together gently. Roll out to approximately 4cm thick, and then cut into circles. I used a 2″ (4.5cm) scone cutter) and achieved 12 scones, with a little left over (cook’s treat)! 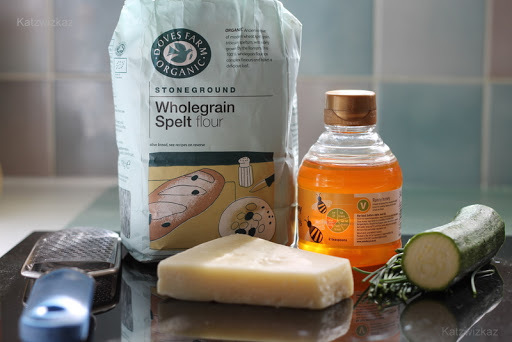 Brush each scone with the egg, or milk, and sprinkle over some pecorino on each one. Place on a well-floured baking sheet, and bake. Harry’s recipe states baking these in the top of the oven for 17 minutes. She suggests serving them with Vegetable Soup, or filling them with goat’s cheese and some sweet caramelised red onions. 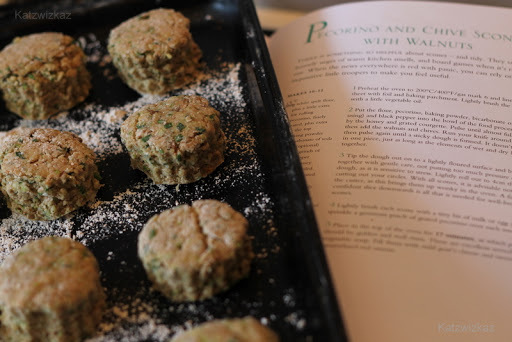 There is also very helpful nutritional information at the back of the book, regarding calorie counts and the amount of saturated fat for each recipe. This one contains 141 kcals, and 4.6g. saturated fat (using only 1 teaspoon of honey). There are really lovely recipes in this book, both savoury and sweet, and I know this is just the first of many which I will be doing. Very tasty sounding scones. I think I'd have to leave out the walnuts as they can taste bitter to me sometimes, but the addition of courgette should be lovely. Thanks for the tip on the cookbook as well, I'm always looking out for worthy new additions. Thanks, Joanne. They are really tasty. Leaving out the walnuts would be fine. I found the book by rummaging around on the bottom shelves of the cookery section. It has healthy and naughty recipes too! Hi Magda, I bought it at Tesco. It's by a company called Doves Farm. Comfort food is what we think of at this time of year. Thanks, I'm shopping at Tesco, but I've never seen this. I will look more careful. They look lovely Colette. I love cheesy scones. I bet they taste fab. Love the wholegrain spelt flour. We use it to make Pizza dough all the time – works like a charm. Thank you Móna. I will be using it a lot more from now on. Thanks for the tip on pizza dough.